Harajuku punk wearing all black outfit with leather jacket, distressed DIY pants, studded sneakers, leather choker, silver chains, cuff bracelet & a silver ring. 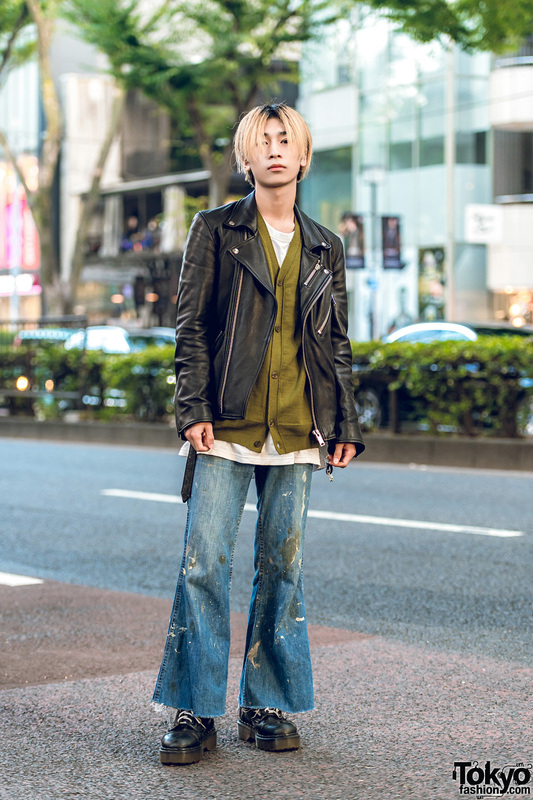 Harajuku musician in white street style with long sleeve shirt, paint splattered cuffed pants, and studded zipper boots. Harajuku student in men’s suit street fashion with purple satin blazer and matching pants, ruffled tuxedo shirt, studded shoes, silver necklace, o-ring belt and silver knuckle rings. 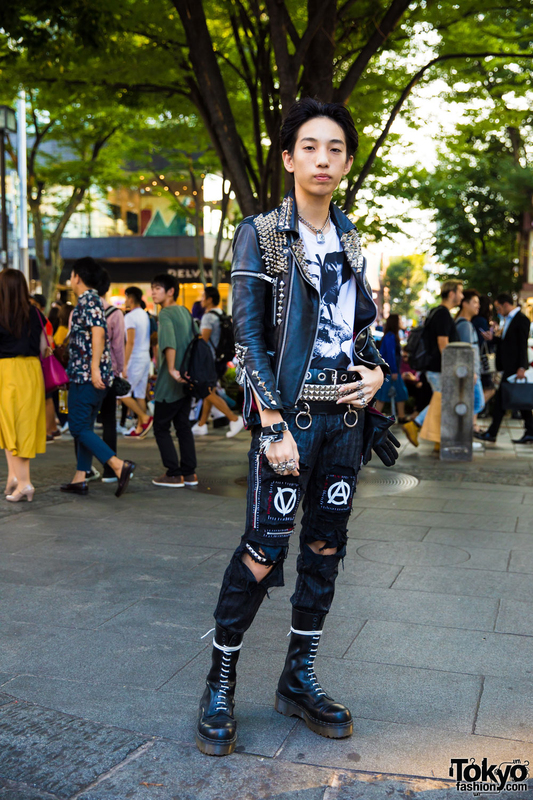 Harajuku guy in Nirvana t-shirt, acid wash ripped jeans, lace-up boots and a beret. 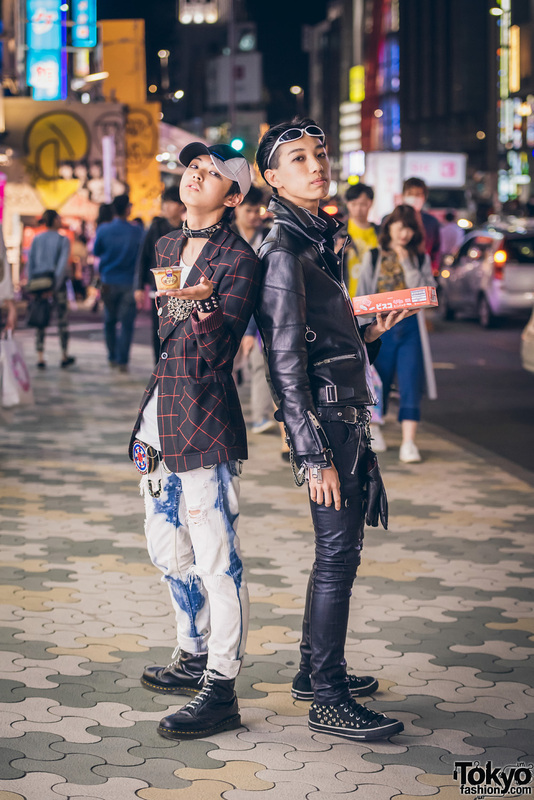 Harajuku guys in streetwear fashion wearing blazer, ripped acid wash jeans, boots & accessories; and all black leather outfit with accessories. Colorfully styled girl wearing a graphic hoodie and skirt from Galaxxxy, pink tights, Space Invaders socks and Vans sneakers in Harajuku.